Three new salons: Portland, Boston, and Vancouver, BC! ← Successful campaign: Amtrak to offer vegan meals on the dining car! 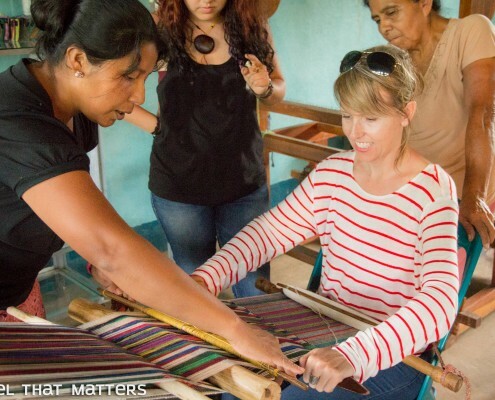 Travel That Matters (tagline: “Be more than a typical tourist”) is a mother-and-daughter-owned company that caters to adventurous women in the United States, aiming to connect them in a meaningful way with nature, local economies, and women in the countries they visit. 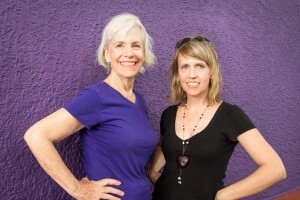 Founded by duo Anne Berry and Angela Jacobus in 2013, the crew are poised to embark on their second trip to Nicaragua in early April. They have previously led excursions to Bangladesh, Guatemala, Japan, and Thailand. When I met Anne and Angela recently, I found the idea of their business exciting, and I was also curious about how family dynamics might play out in such a business partnership. I wanted to interview them and share some of their story here because they are a wonderful example of people following their dreams, living beyond the mainstream, and helping to create meaningful experiences for both their clients and the women in the countries they visit. When did you two birth this dream? Which of you thought of it first, and did you have to convince the other of it? It sort of happened organically about a year and a half ago. Angela had just returned from living abroad and was brainstorming ways to turn her passion for travel into a career as well as help women get out there in the world and travel … but she wasn’t sure what that would look like. 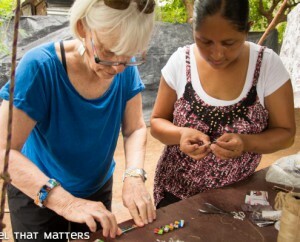 Anne was getting bored in retirement and wanted to facilitate retreats in Nicaragua. The more we talked, the more we realized we could turn our shared interests and passion for travel into a business together. What had been your work or career backgrounds prior to starting this venture? Angela spent 12 years in the traditional business world as an editor (marketing, not publishing). She escaped her cubicle in 2005 and made her living as a snowboard instructor/freelance writer/boutique hotel office manager for a few years. Later, she moved overseas to teach English where she spent two years in South Korea and one year in Bangladesh. After Bangladesh, she spent a few more months traveling and then decided to settle back in the States and start Travel That Matters. Anne’s work background includes a variety of careers, including ballet teacher, closet designer, Defense Department contract administrator, County Government contracts officer and independent corporate trainer. While working as a corporate trainer, she logged one million airline miles. After you thought of the idea, what fears or other internal stumbling blocks came up for you? How did you overcome them? New ones come up every day! Haha! But they’re the typical ones for entrepreneurs, I think. Questions like … What if this doesn’t work? How will I pay the bills? I don’t know enough about running my own business to be successful. There’s so much I don’t know! I should have started this a long time ago. How will we find clients? I’m not a sales person. How will I sell my service? I don’t have enough experience with this or that, etc., etc., etc. We have gotten support. We have supported each other. We have committed ourselves to this endeavor. We think about the alternative, which would be to NOT follow our dreams. What about external obstacles? What have been some of your biggest logistical or business challenges? The lead time and connections and effort that are required to create our type of travel experiences is pretty intense. We have had to adjust our expectations and be patient and have faith and figure out how to keep surviving and thriving while the business slowly progresses. What do you enjoy most about working together, as a mother-daughter team? This experience is allowing us to learn how to communicate differently … as professional partners … which, in turn, reveals a lot about our deep-seated personality traits and patterns. It can be challenging, to say the least, but it’s quite enlightening and interesting. The best part, though, is having a business partner you can completely trust. How lucky are we?! What has been the biggest challenge in working together as such a team? The communication challenges (see above). What has been a high point, thus far, in this venture? Whenever we meet women and tell them about what we’re doing and they light up. When we see that they “get” us and they’re genuinely excited about this type of travel. Those moments when you KNOW you’re on the right path. What are some of your ongoing dreams or plans for the business? We want to expand our connections and relationships and add a variety of locations, both around the globe and closer to home. We also want to keep finding inspiring organizations we can support with our trips. One day, we’ll have a whole big team and a full list of adventures and a long line of women who are ready to get out in the world and EXPERIENCE it in a meaningful way. This entry was posted in Eco-volunteerism, Interviews, Travel and tagged ethical travel, meaningful travel, travel for women. Bookmark the permalink.